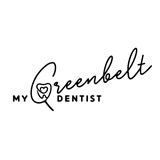 Dr. Selen Tolu (Greenbelt) - Book Appointment Online! She is the best dentist I have ever been to. She made me feel very comfortable and her staff was amazing the front desk girl is nice and the lady that works in the back was very nice and professional. This will be my permanent dentist.